For someone who needs to take as many screenshots as we do each day, a program like ZScreen is a real time-saver. With ZScreen you can take snapshots of your screen in several ways (full screen, user selected area or active window), each one of them with its own associated keyboard shortcut. 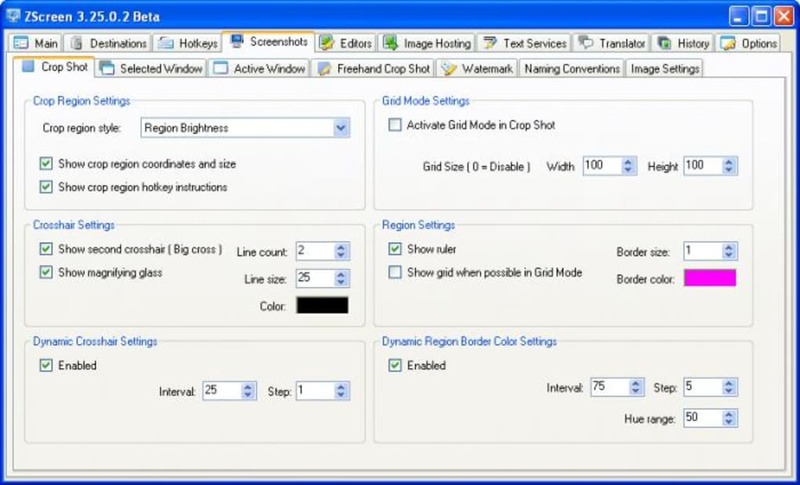 The program works with all popular graphic formats and can also be configured to insert a watermark and name files automatically. However the most outstanding feature in ZScreen is the way it handles captures. You can either copy them to the Clipboard, save them as files, send them to your favorite image editor or upload it directly to a configured FTP server or the online service you prefer. 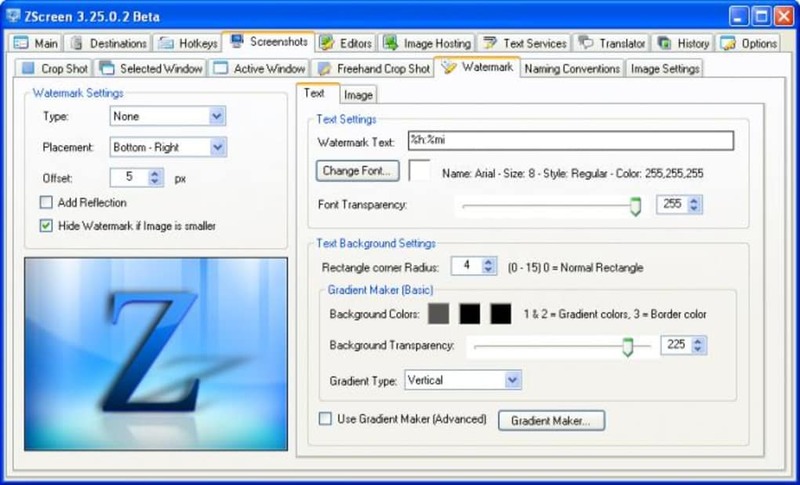 ZScreen supports RapidShare, Flickr, ImageShack, TinyPic, Twitter and more. On the downside, the program doesn't include any editing tools, so you'll need to use a third-party editor. 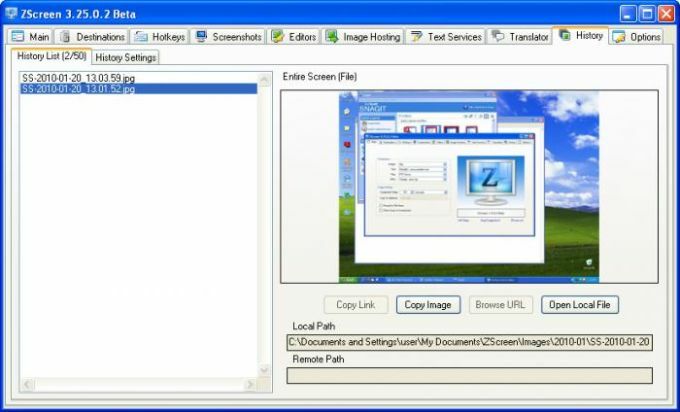 ZScreen has many other interesting features, such as an embedded translator, a clipboard manager and a URL shortener. It's probably this array of tools and options that makes its interface a bit overwhelming. 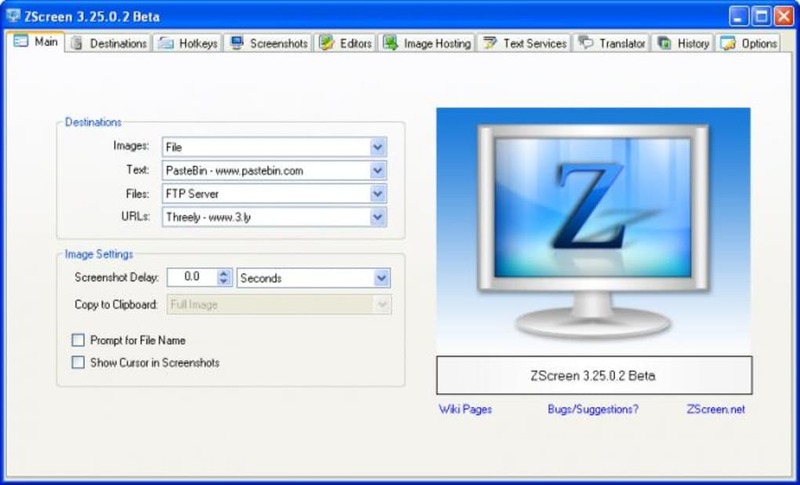 Screenshot junkies will love ZScreen, a feature-rich screen capture tool with support for online photo hosting services and tons of other useful options. What do you think about ZScreen? Do you recommend it? Why?